Long Engineering, Inc. is proud to have served on the Mercedes-Benz Stadium project, watching it unfold and come to fruition. This 2,000,000 square foot stadium has been established on iconic architecture featuring a retractable roof, permanent seating for 71,000 people, 7 restaurants and associated parking accommodations for 21,000 vehicles. The new stadium tops at 305 feet, contains 20,000 tons of steel, 23 escalators, and a 63,800 square foot circular scoreboard, the largest of its kind in the NFL. 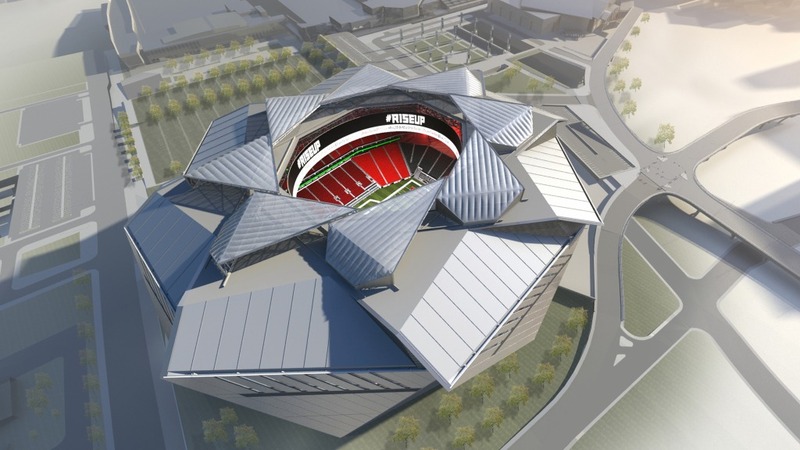 Our professionals were responsible for providing civil engineering services including the demolition plans for the existing site and removal of the Georgia Dome, land surveying and land development design, infrastructure and utility improvements for the site and stadium, water quality improvements, roadway abandonment and relocation, construction staking and construction period services, and permitting through the City of Atlanta. In addition, Long Engineering, Inc. also provided civil engineering services for the Phase I parking deck and Red Deck Expansion. 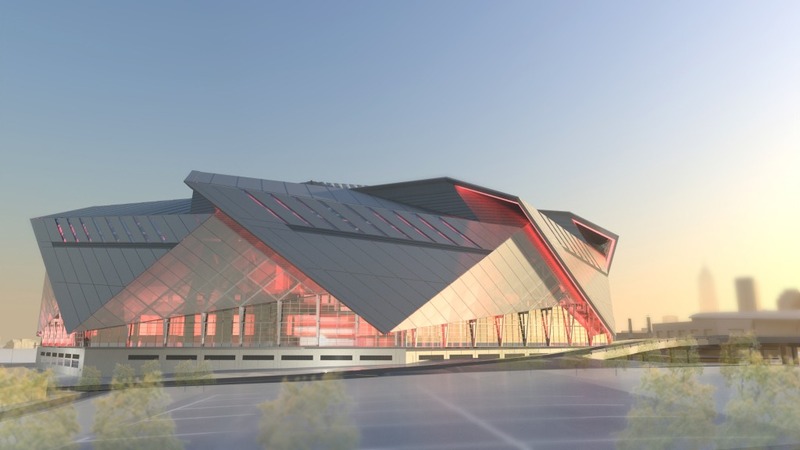 With Mercedes-Benz Stadium in its inaugural season, and the implosion of the Georgia Dome complete, Long Engineering, Inc. looks forward to contributing toward many more high-profile projects for the City of Atlanta. 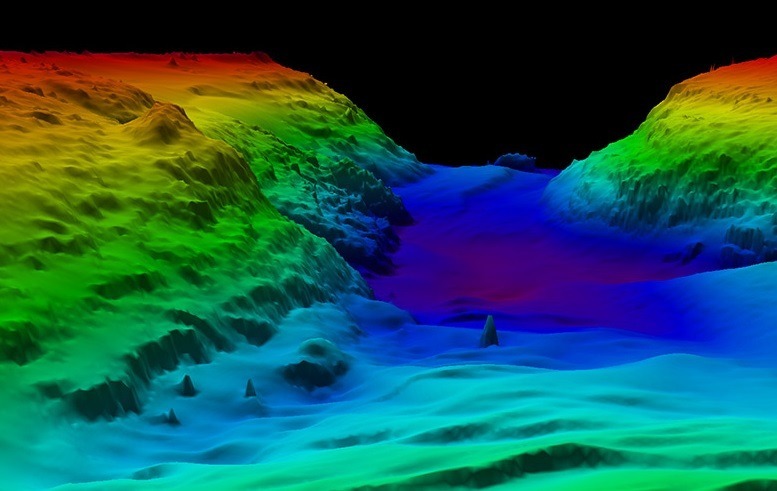 Long Engineering, Inc. is now utilizing echo sounding technology for our hydrographic surveys. Echo sounding is a type of sonar used to determine the depth of water by transmitting sound pulses into water. The time interval between emission and return of a pulse is recorded, which is then used to determine the depth of water. The horizontal locations of the soundings are determined by connecting our GPS units to the echo sounding equipment. 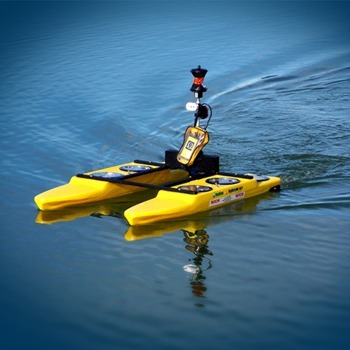 Combining these two technologies has allowed us to provide precise and accurate topography survey of rivers, channels, and lake bottoms that are not achievable with traditional surveying equipment. Long Engineering, Inc. has utilized echo sounding technology for surveys of the Savannah River, Lake Jackson, and the Middle Oconee River.